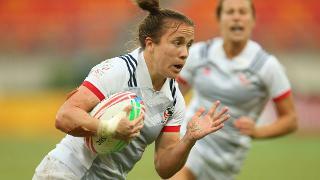 Find out where you can watch the upcoming men's and women's sevens series. The upcoming HSBC World Rugby Sevens Series will broadcast to more than 100 countries and territories around the world when it kicks off in Dubai next week. Off the back of a successful Olympic Games in Rio, the men's and women's series get underway in the United Arab Emirates on Thursday, 1 December at The Sevens Stadium. Millions of live viewers tuned in last season to watch Fiji's men claim the series title, before Australia became the first team from their country to claim the women's series. Significantly, both teams also won the gold medals at their respective competitions in Rio in August. The forthcoming season will see CNN join the long list of top international broadcasters who will showcase the men's and women's series over the coming season. World Rugby Chief Executive Brett Gosper said: "Rugby's return to the Olympics has been a game changer, with more than 16 million new fans following our sport after the exciting and entertaining events in Rio last August. "Next week's tournament in Dubai marks the start of the Tokyo 2020 Olympic cycle and building on last season, which was the most widely viewed and engaged series ever, we expect more fans from around the world to view and interact with the series." A study by Nielsen Sports on behalf of World Rugby, released last week, found that the number of rugby fans in the six markets surveyed (USA, UK, Australia, Germany, France and Japan) has grown by 16.83 million as a result of the sport's inclusion in the Rio 2016 Olympic Games. The research also saw record numbers in emerging rugby market and support was particularly marked among women and the 18-24 age group, with strong agreement that rugby sevens was great addition to the Olympic Games. Social media played a key role, with rugby sevens making more than 218 million impressions as it reached 50 million fans over the six game days at Rio 2016. Each round of the men's and womens sevens series will be streamed live. However, geo-blocking may be in place in some areas due to rights agreements. Please refer to the link above for further information.